Niki de Saint Phalle. Dawn (jaune), 1993. The solo exhibition of Niki de Saint Phalle, a legendary female artist of the 20th century, is about to land in Beijing! Niki de Saint Phalle, a Franco-American sculptor, painter and filmmaker, is one of the most popular artists, and one of the most important feminist artists of the 20th century. In 1961, she picked up a rifle, buried paint bags and small objects under a plastered canvas, and let the paint splash wantonly by shooting, creating an unprecedented “shooting painting”. This “murder without victims” was in contempt of social stereotypes and an affirmation of the power of women. 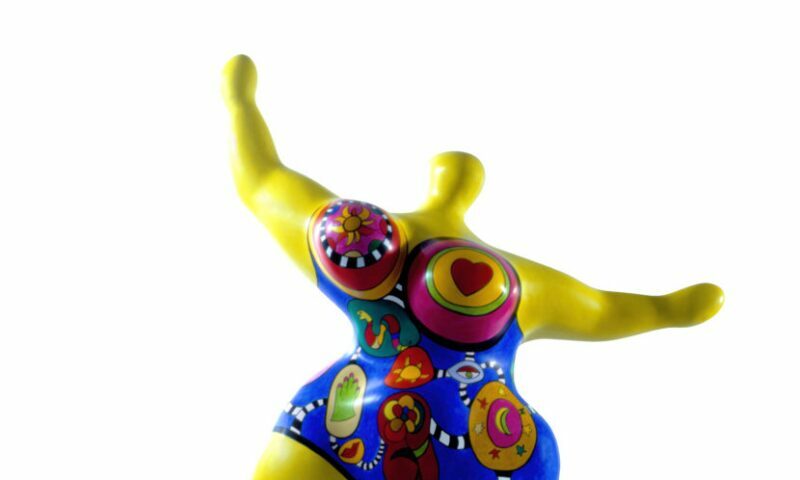 Inspired by her female friend’s pregnancy in 1965, Niki de Saint Phalle began to create sculptures depicting women. The series of colorful and curvaceous Nana sculptures subverted the image of women in traditional aesthetics and dawned a liberation of the female body being represented by a female artist.